I have an MBA from Purdue University. I have been a full-time teacher for the past 17 years. I enjoy helping pupils of all different ages attain their goals not only in school but also in life. 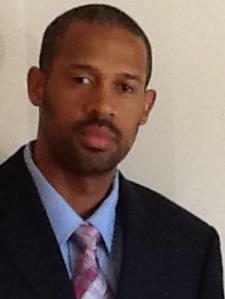 I specialize in tutoring students for the GED, Algebra 1 and 2, Middle School Math, and Elementary Math and Science. I am also fully certified in the State of NY to teach all K-6 courses. I continuously receive over 100 hrs of updated professional development each year (especially those changes dealing with the Common Core). I will clarify any questions that the student has. Sometime their misunderstanding stems from a root which may simply be memorizing a formula or practicing the concept which they may already have a grasp of. Student like to ask why are their letters (variable) in a mathematical problem. I am able to bridge the gap. Showing how Algebra is used in our everyday lives and why it is important. Once the students find the authenticity of their coursework, they tend to take it more seriously. This always results in better grades. Being a former College Athlete , I also know the importance of managing your time between Academics and Athletics to maximize success in the classroom and on the playing arena. So I am able to show a student how to organize themselves. In the end, developing a holistic person who can create efficiencies in their lives. This will allows them to always stay a few steps ahead, given way to the other enjoyments in life. Whether they are a Student Athlete or a Social Media professional. I look forward to helping many more students achieve their personal success in the classroom and in life. This is 1 of the areas within my Teaching certification. I acquired a Master's Degree in Elementary Education from CW Post University back in 2000. This certificate gave me permission to teach all the Core Subject plus Reading, Spelling, handwriting and grammar. The State of NY is currently changing over from the standard to the Common Core curriculum. I have spent hundreds of hours reviewing and practicing this legislation over the past 5 yrs. This is 1 of the areas within my Teaching certification. I acquired a Master's Degree in Elementary Education from CW Post University back in 2000. This certificate gave me permission to teach all the Core Subject plus Reading, Spelling, handwriting and grammar. I have taught Elementary School Math for 17 years. I would begin by eliminating any pitfalls that I can find that would stunt a student's growth in Mathematics. I have taught Primary to Middle School Science. This is 1 of the areas within my Teaching certification. I acquired a Master's Degree in Elementary Education from CW Post University back in 2000. This certificate gave me authorization to teach all the Core Subject plus Reading, Spelling, handwriting and grammar. Over the past 17 years of my certified teaching career, we are consistently asked to give lessons to our students at least a few times per week on study skills procedures. During professional development, I am given study skills techniques to use with my students. This helps them prepare for standardized testing. Simple things like organizing your notes, scheduling study and review of lessons daily, making flashcards, use of annotated note taking, and finding ways to group and connect concepts by using Thinking Map and Graphic Organizer such a Flow Chart, Circle Maps, Double Bubble Maps, Trace Map, Brace Map, etc. I have personally used and taught these skills with much success. I am looking forward to passing these attributes on to others. I was even able to past the Series 7 and 63 exams back in the late 90's using these and many other skills of preparation. The Series 7 exam is renowned as 1 of the most difficult exams to study for. Ranking right up there with the Bar Examination. Algebra 1 Qualifications I have taught Math for the past 17 years. I know what each student needs to know at every level. I would also begin eliminating any pitfalls that I can find that would stunt a student's growth in Mathematics. The beginning use of variables (letters) in Math can be confusing. My experiences have told me, that pupils can some times lose interest in Math not because they not a good math student but because an important Math link was severed and was never mended before moving on to a new concepts. I am very good at finding and building strength around those links. I have tutored Algebra 1 and 2 for many years. I am very familiar with this course of study. My background in mathematics allows me the expertise to tutor across the Curriculum. I have taught Middle School Math for the past 17 years. I know what each student needs to know at every level in the late primary grades and beyond. I am very familiar with this course of study. My expertise across the math curriculum allows me to help many student improve their scores on the Math section of the SAT or ACT. Pointing out to the students short cuts and concepts that relate. I started playing football at the age of 10 yrs old and it paid off. After High School, I attained a full Athletic Football Scholarship to play at the University of Purdue in West Lafayette Indiana. There, I retained many skills and was influenced by several leaders that eventually went on to either play or coach in the National l Football League. I shared the same backfield in College with Mike Alstott who retired a few years ago after serving 12yrs with the Tampa Bay Buccaneers. I have trained many players over the past 20 yrs and am always excited to pass on the knowledge and motivation that is needed to succeed. I look forward to infusing my expertise in this field to many other Trainees. I have being a Head coach and Assistant coach on the High School level. My last tenure was with the Cougars of St John The Baptist in West Islip, NY. Rest assured, I will help you tap into your full potential as a player. I have been teaching for over 17 yrs and have spent 7 of those years tutoring teenagers and adults. Helping them attain their GED and strengthen they knowledge in many other courses. I have the patience to help students reach whatever goals that they would like to accomplish academically. Due to my teaching certification area, I am required to stay abreast of all subject areas (Math, Science, History, and English), giving me an advantage as a GED instructor. Professional, knowledgeable, personable...are just a few words that come to mind when describing Luis. He has helped my son catch up in math by leaps and bounds. I am truly grateful for his time and energy.